Halloween is coming, crafters! 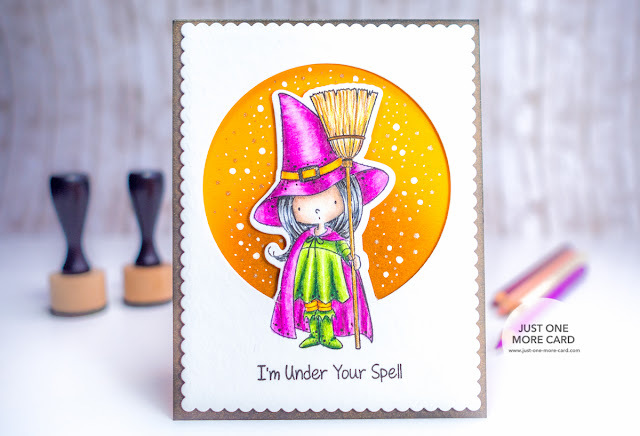 Even though it's not celebrated as widely in Germany as maybe in the US, I couldn't help but make yet another fun halloween card using the MFT "Witch Way is the Candy" stamp and die set. 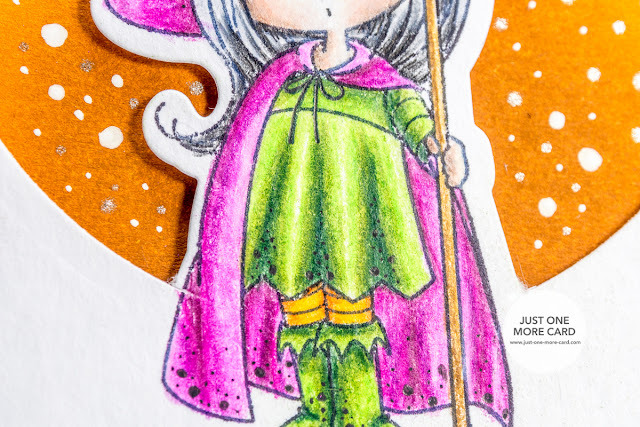 Today's focus is on coloring with Polychromos colored pencils and on partial die cutting. I have to admit, I am terribly proud of this card – it turned out just perfectly and hopefully will delight my crafty friend in Canada in time (mail seems to take forever over there!) The partial die-cutting was really quite difficult this time around – I actually spend a few minutes before I recorded the video practicing it because I had no feeling at all about how I would go about it. Also, the new Sizzix cutting plates have this softer edge which makes it more difficult to cut precisely. 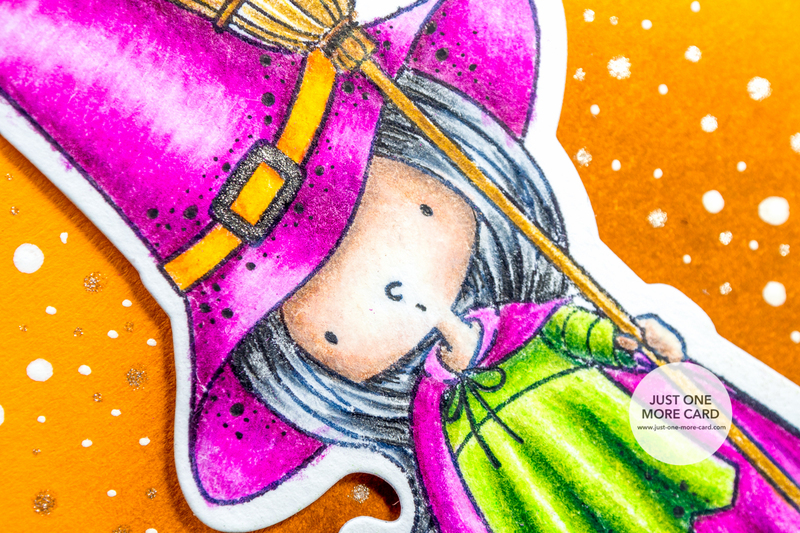 If you do not (yet) have the matching dies for with witch, you can also fussy cut her! What you need is a circle die or the new Stitched Arch dies by MFT to do get the circular shape, but from there you can use your scissors and cut around the witch. Just in case your budget doesn't allow for the matching witch dies or they are OOS (as they are right now, sorry!). As for the coloring, I once more used my preferred water color paper Torchon by Hahnemühle. It's bright white and has some tooth (texture) which makes it easy for the pigment of the pencils to hold on to it. The coloring technique I used it the blending with pencils, without any extra solution. Adding my signature dots at the end was more of a spontaneous decision than planned genius :) I thought that the huge orange background could do with something to spruce it up, but for the longest time didn't know what. Admittedly, I was surprised about just how much of an effect the white and few silver dots had. They really pop against the background and enhance the entire design. I hope you enjoyed the project and have a spooky and fun Halloween! 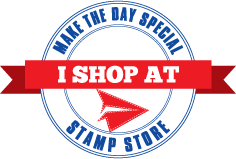 Thanks for taking the time to stop by today and leaving a comment, I really appreciate it!